(07-17-2015, 03:56 AM)✯Ho-OhLugia✯ Wrote: Wow! I love your artworks! Do you draw them? If so, what to do you use to draw so perfectly? A mouse? A digital pen? Yes, I drew them and colored them in Paint Tool SAI, along with the use of a digital pen and graphics tablet. 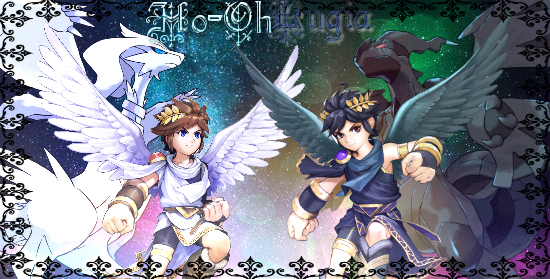 UPDATED version of my Rayquaza banner. It is not for anyone else's use, please. Wow, you DREW them. You DREW them! They look so nice! Do you take requests? Not that I have any, of course. (07-17-2015, 03:18 PM)✯Ho-OhLugia✯ Wrote: Wow, you DREW them. You DREW them! They look so nice! Do you take requests? Not that I have any, of course. Sorry, but no. However, I will be taking requests for banners, icons, and the like. Right. I didn't have any, anyway.